(NaturalNews) The Office of the Director of National Intelligence (ODNI) recently released a report entitled Global Water Security that claims water supply issues around the globe will lead to economic instability, civil and international wars, and even the use of water as a weapon in the next several decades. 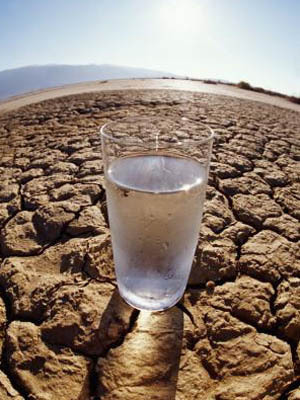 In typical shock-and-awe fashion, the U.S. government paints a grim picture of so-called global warming, water shortages, and other water problems as the causes of major global destabilization, which it also says may be mitigated if certain steps are taken to offset them. China’s may already be able to hold U.S. forces in the far western Pacific Ocean at bay, argues DT’s go to China expert and Naval War College professor Andrew Erickson in one of his latest analysis pieces. Here’s an excerpt from his piece titled, Near Seas “Anti-Navy” Capabilities, not Nascent Blue Water Fleet, Constitute China’s Core Challenge to U.S. and Regional Militaries. SOLAR WATCH: Sunspot 1429 Returns With Massive CME – 45% Chance Of Geomagnetic Storms!